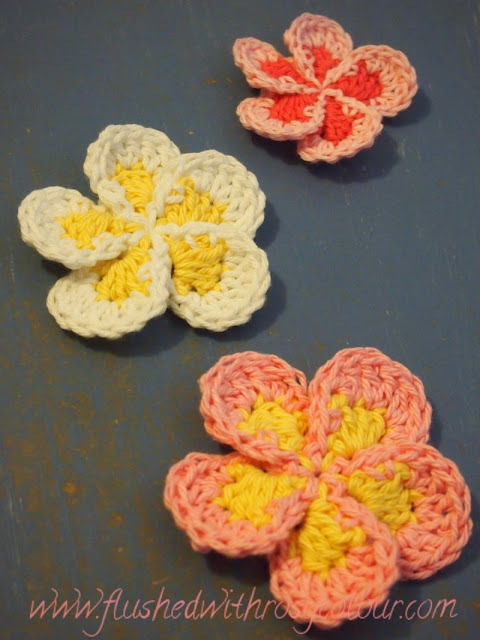 A friend asked me to make her some frangipani flowers, so I searched for a pattern but couldn't find one. So I made up my own, and this is the result. 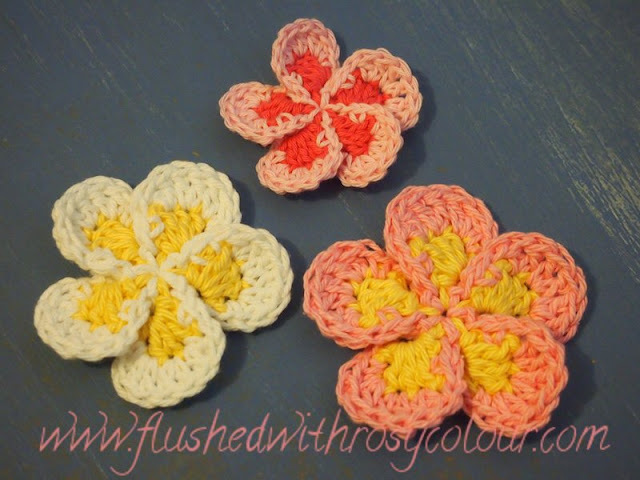 I'm working on writing the pattern down, I'm hoping to sell it on Ravlery as part of a set of flowers. I don't imagine I'll sell it for much maybe for a dollar, or even less. I am after all, just starting out! 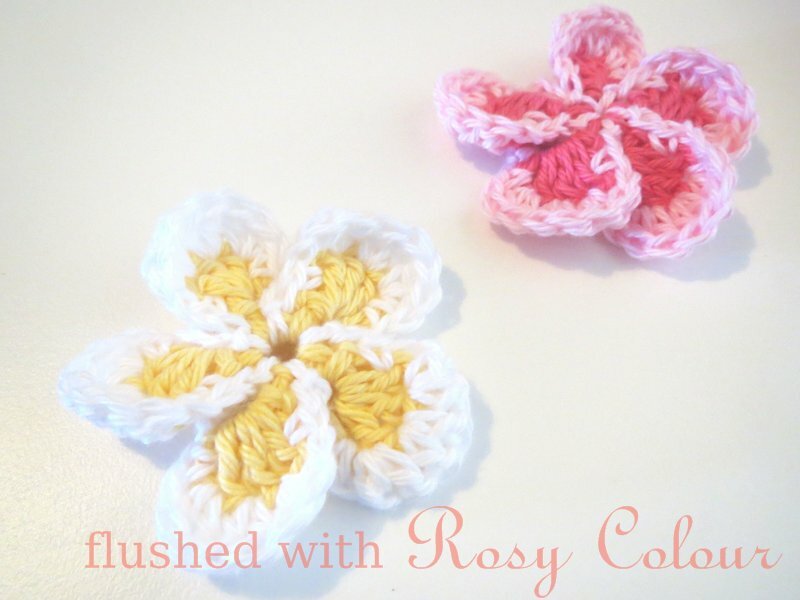 Please let me know if you like this flower and think I should include it in a pattern download on Ravelry.